Once you decide to retire and begin preparing, the final months leading up to your retirement date go by quickly. 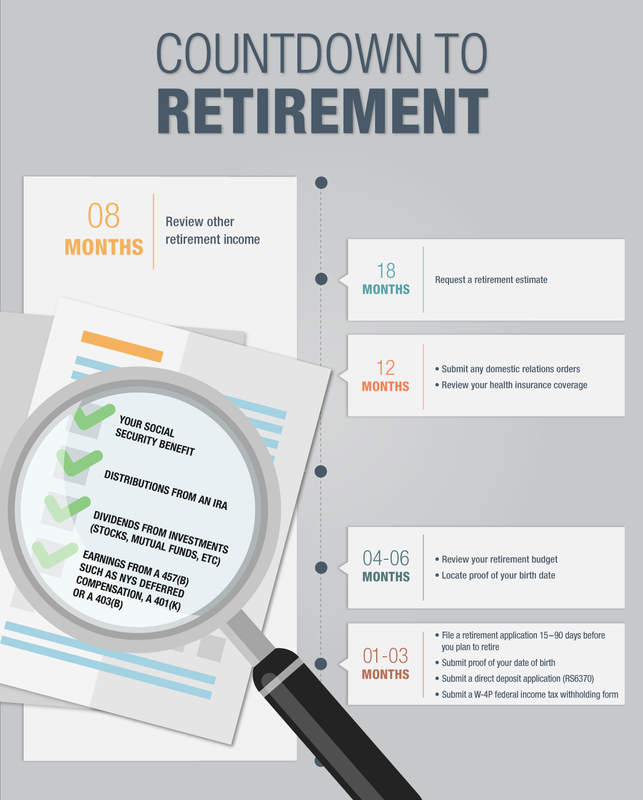 Previously, we discussed the steps to take when you’re 12 months away from retirement. As we continue our Countdown to Retirement series, let’s take a look at what you should be doing eight months out. Some experts say that you need 80 percent of your pre-retirement income to maintain your standard of living once you stop working. There’s a good chance that your NYSLRS pension alone won’t provide that level of income. With retirement lasting 20 years, 25 years or even longer, it’s important to have a plan in place for the extra income you’ll need. Check out our Straight Talk About Financial Planning for Your Retirement publication for monthly income and expense worksheets to help you assess your retirement finances. 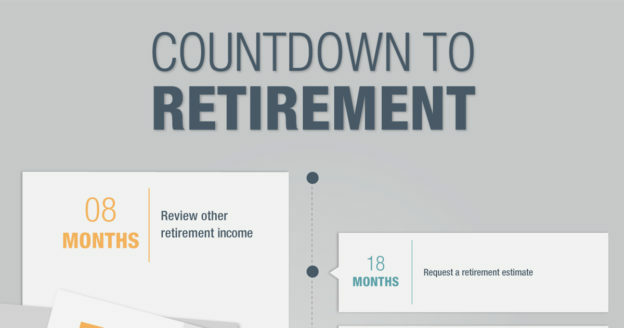 Your planned retirement date is less than a year away. As the day gets closer, check out the rest of our Countdown to Retirement series for posts covering your retirement budget, what we accept as proof of your date of birth, what to do after you’ve filed your Application for Service Retirement (RS6037) and more. Content last revised January 30, 2019. This entry was posted in General News, Members and tagged 401(k), 403(b), Countdown to Retirement, deferred compensation, eight months out, ERS, expenses, Financial Planning, income, Information is the Key, investments, IRA, know your benefits, New York State & Local Retirement System, NYSLRS, personal savings, PFRS, post-retirement employment, Preparing to Retire, retirement, retirement income, retirement planning, Social Security on January 30, 2019 by NYSLRS.